There is plenty to do on land on Lord Howe Island, but you don’t have to remain on-shore to have fun or engage with the locals. Surrounded by the 460 km² Lord Howe Island Marine Park the island’s brilliant snorkelling and diving offers tourists the opportunity to spot many of the 500 fish species or gaze in wonder at some of the 90 species of coral living in its waters. The warm tropical/cool ocean current combination means there is a diversity of both tropical and temperate marine species. With sub-tidal, intertidal and rocky reefs, underwater trenches, caves and large seagrass beds there is something for everyone. Fish you may see (depending on whether you are diving or snorkelling) can include Angelfish, Butterfly fish, Wrasses, Kingfish, Trevally, Doubleheader Wrasse, Spanish Dancers, Spangled Emperors, Clown fish and McCullochs Anemone fish. Additionally, you may see a black stingray, starfish, sea cucumbers, sea urchins and crabs. 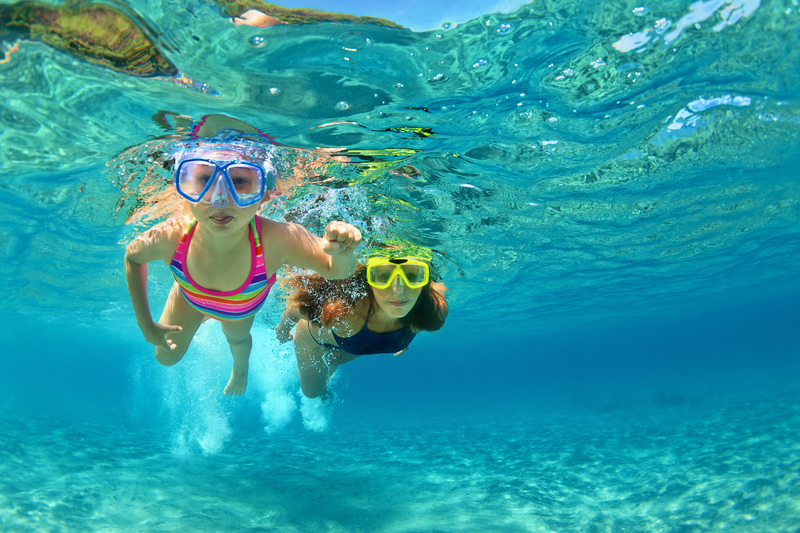 You don’t have to ride a boat to access fantastic snorkelling spots, you can walk straight off Ned’s Beach into the water and start your snorkelling adventure. 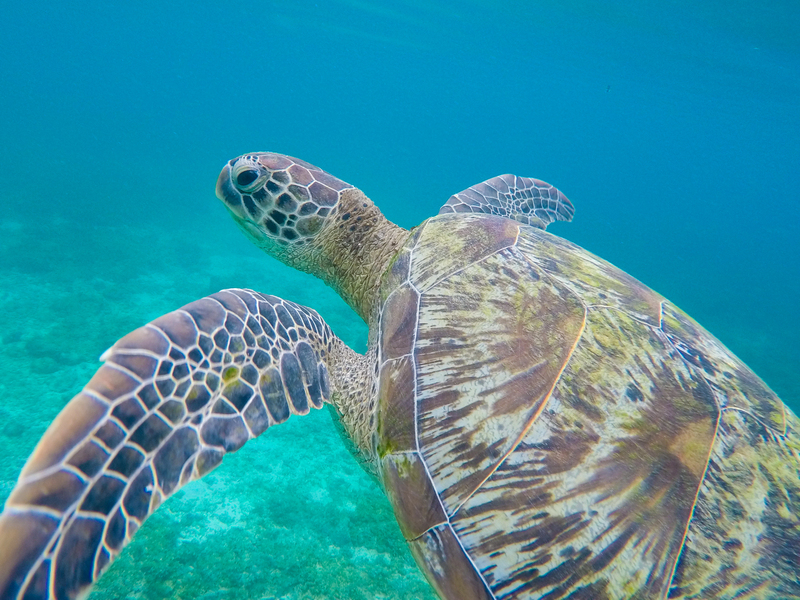 Snorkelling off Old Settlement Beach may find you lucky enough to chance a meet with some of the local green turtles at certain times of the day. If you do want to get on a boat you can do an unbelievable trip to North Bay, snorkelling off the boat, viewing a variety of fish moving around their underwater, coral city. You can also join a speciality snorkelling tour which takes in up to 4 different snorkelling spots or, for those who don’t like to get wet, you can view everything from above the water on a glass bottom boat tour. The warmer water currents are November – April each year with water temperatures averaging around 25 degrees in February & March. Winter water temperatures sit at around 17 degrees, a warm bath if you are from Victoria or Tasmania, or an icy dip if you are from Northern Australia. Whatever time of year you choose to travel you can hire wetsuits & snorkelling gear on the island for very reasonable prices. If you want to take the next step and dive whilst on Lord Howe Island you have a plethora of options. The two dive companies on the island can offer dives suitable for any level and qualification. Haven’t dived before? Don’t worry you can do an introductory dive course, already have your open water PADI certification? There is something for you too. For divers who love taking photos, you don’t have to go far, Erscott’s and Comet’s holes in the lagoon with maximum dive depths of 5-8 metres provide spectacular photographic opportunities. 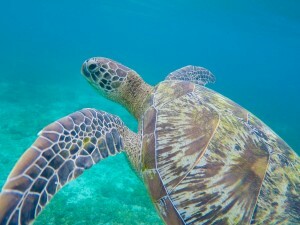 Further afield, the reefs offer dives ranging in depth from 10-30 metres. Dives around the Admiralty Islands will provide deep crevices and coral walls whilst Ball’s Pyramid is known as a world class, advanced diver site that has prolific sea life and coral. During your Ball’s Pyramid dive you can expect large schools of Violet sweep, Amberjack, Kingfish, Rainbow runners and just maybe, a Ballina Angelfish. Most of the island’s dive sites are a mere 10-20 minute boat trip from shore. The dive season is generally mid-September to early June, with the best visibility over the warmer months from December – April at 25-35 metres. The cooler months will see that reduced to around 10-15 metres. You can hire top quality equipment if needed. We Often Hear About World Heritage Listed, But What Does It Actually Mean?